It’s a dance battleground at this master class celebrating the latest and greatest hip-hop artists. We’re getting crunk this March with a tribute to the kings and queens of current hip-hop: Drake, Post Malone, Cardi B, Migos, Kendrick Lamar, G-Eazy, Nicki Minaj, Meek Mills and more. Their songs have made waves on Billboard charts and even mainstream Top 40 playlists, adding the newest layer to the ever-evolving hip-hop genre. Some have even made their mark on the pop scene, with rappers like Cardi B contributing riffs to hits from Bruno Mars & Maroon 5. Drake, the giant on the field, even surpassed the Beatles in the number of Top 10 Billboard hits in a single year. His name came up 8 times on the Top 100 of 2018 — more than any other artist by a long shot. With all of these accolades, it seemed like a pretty good time to pay homage to these artists. 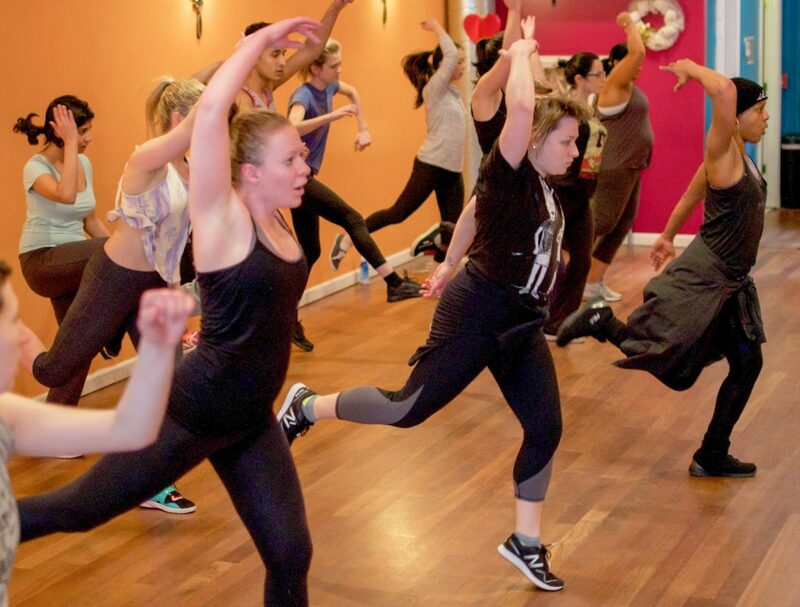 And do we have a party in store for you…All star instructors Liz Giraldo and Brooke Blair Pias are teaming up to bring you 90 minutes of nonstop cardio hip-hop routines. With so many great songs to choose from, the biggest challenge will be fitting in as many as possible. Expect to dance to “I Like It” and “She Bad” by Cardi B, “Stir Fry” by Migos, “I’m Legit” by Nicki, “Wow” by Post Malone, “ATM” by J Cole, “Shoe Game” by Lil Mama and many, many more! Ages 13 and up. Please note that we may use original rather than radio-edit tracks in this workshop, which may contain suggestive or explicit lyrics. Space is limited to make sure everyone has room to dance. Sign up now! 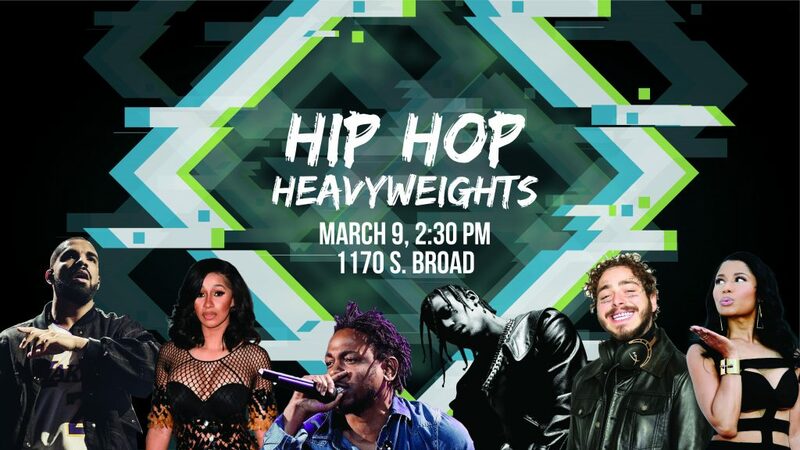 Saturday, March 9 from 2:30 p.m. to 4 p.m.
South Philly studio, 1170 S. Broad St. FREE street parking! Wear: Comfortable workout attire and athletic shoes or dance sneakers.